Featuring tons of tips, tricks and helpful hints for family caregivers who are helping to care for a loved one at home. Click here for your FREE magazine delivered right to your door. You would do anything for your aging loved ones. But when they become frail, memory impaired or ill, you realize that there are some things you just can’t do yourself. That’s when Relative Care can help. We provide compassionate care in the comfort of home – making life easier for seniors and bringing peace of mind to the families who love them. Your loved one’s needs are likely to change as time goes on. A hospital stay, an illness, a fall or an accident could create a need for a higher level of care. With Relative Care, you won’t need to change to, or add on, a different care provider. 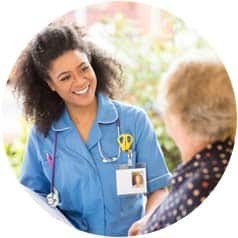 Our ability to provide personal care, as well as skilled nursing and rehabilitation services, makes it easy to get the care needed, while giving you the comfort of consistency. Relative Care’s professional home health aides make days brighter, safer and easier. The skilled nurses and therapists of our Advance Home Health division optimize health, comfort and mobility. The older loved ones in your life were always there for you. Now, they need help and you want the best for them. 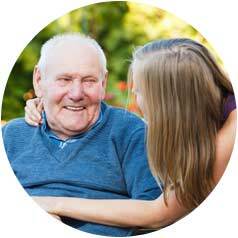 Relative Care and Advance Home Health provide care that feels like family. By providing personal, skilled nursing and rehabilitative care, Relative Care assures that needs are met now, and as conditions change. We provide peace of mind through care that is well-coordinated and focused on total wellbeing. Relative Care is a family/veteran-owned business. We are not a franchise, but a private company with the ability to deliver customized services and truly personalized care. Caring neighbors can make such a difference. As a locally owned company, Relative Care focuses on helping those in need in our community. We’re here for you! Relative Care is always looking for professionals with exceptional qualifications and caring qualities.